The idea of legalizing medical marijuana to fight the opioid crisis got a big boost Wednesday from Gov. Tony Evers and Attorney General Josh Kaul . "I would much rather have doctor prescribing medical marijuana than an opioid," Kaul said. Some Republican leaders have also agreed to begin the discussion. In Milwaukee County alone, more than 700 people have died from opiate overdoses over the past two years according to the medical examiner's office. A Milwaukee woman named Deby didn't want to show her face on camera, but she did want to share her story about how cannabis helped save her from joining that staggering number. "I was prescribed 6-8 Vicodin a day, 50 mg Fentanyl patch, and muscle relaxers and I thought living life was normal as I was," Deby said. Deby was prescribed those opiates for more than a decade to treat fibromyalgia, particularly neck and back pain. "When I took the opiates, I was zonked out, when I smoke, take a couple hits off of a joint, I relax," she said. Ever since Deby replaced opiates with marijuana, she says she would never go back. This fall Deby watched as more than a million voters in 16 Wisconsin counties answered "yes" to referendums asking whether marijuana should be legal for medical or recreational use. 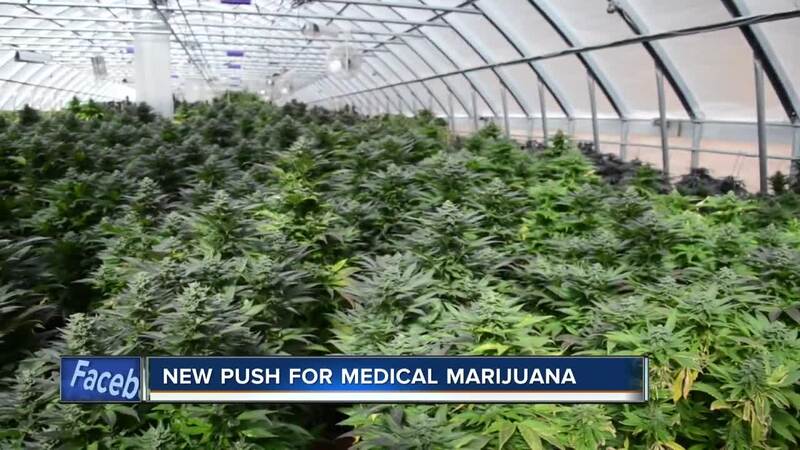 Medical College of Wisconsin researcher Cecelia Hillard thinks there's a place for medical marijuana in Wisconsin, but she says cannabis cannot simply replace opiates. "They're very different chemicals and treat very different types of pain," Hillard said. "Opiates are very good for acute pain, and very severe pain such as a broken leg or a tooth extraction. Medical marijuana would not be very good at treating that kind of pain,"
Eric Marsch with the National Organization for Reform of Marijuana Laws points to opiate-use success stories in states that have legalized medical marijuana..
"They had on average a 25-percent reduction in both opiate overdose deaths and admissions to treatment for opiate addiction," said Marsch. Hillard believes there's less prescribing of opiates in those states because people are turning to marijuana instead. Secondly, she says studies show cannabis can help people quit using opiates because it addresses the anxiety of their withdrawals.